Hawaiian Paddle Sports is a Maui-based, ocean activities company that prides itself on providing sustainable, intimate, authentic experiences with Maui and the ocean. 2016 was an important year of growth for Hawaiian Paddle Sports. 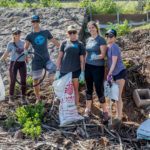 We expanded our Malama Maui give-back program, raising $33,910 for local organizations and logging over 550 volunteer hours. We also spearheaded the Paddle For Hunger event and the inaugural Paddle For Keiki toy drive. Hawaiian Paddle Sports was recognized on the state level for its leadership and accomplishments. 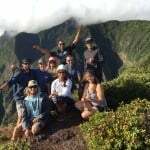 Our guides Rowdy Lindsey and Curtis Geary were additionally honored with the prestigious EcoTour Guide of the Year award by Hawaii Ecotourism Association. We are excited about the opportunities in 2017, and look forward to another outstanding year supporting our customers, employees, environment, and community. Is always first above all else. From first point of contact to the guides on the water. Within our community of team members at HPS but also how HPS connects with the larger Community of Maui, Hawaii and the World. Culture is what makes Hawaii special… we hope that comes across in everything we do. We are a for profit company and this enables us to do the good we do. Hawaiian Paddle Sports is proud to report that we not only accomplished, but in fact exceeded, many of our 2017 goals. Much of our work this year focused on expanding and enhancing our community partnerships, while also improving employee trainings and development opportunities. Successfully built on our Malama Maui community give back program. 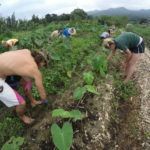 Malama Maui grew to include new partner organizations and conducted volunteer service projects throughout Maui. Non-profit partners included: Hawaiian Islands Land Trust, Sustainable Coastlines, Whale Trust Maui, Maui Youth and Family Services, Maui Cultural Lands, Hawaiian Canoe Club, Camp Imua, Maui Nui Marine Resource Council, Hawaii Wildlife Fund, Pacific Cancer Foundation, Maui Food Bank, Paddle For Keiki benefitting Toys for Tots Maui, Heroes on the Water, Maui Huliau Foundation, Hawaiian Alliance for Progressive Action, Maui Tomorrow, Kihei Youth Center/Wailea Canoe Club, Lae Ula O Kai Canoe Club, Kilauea Point Natural History Association, Hui O Wa?a Kaulua, Kihei Canoe Club, Maui Youth & Family Services, & Hawaii Ecotourism Association. Employees logged 664 volunteer hours with 12 different non-profits. Organized the 17th Annual Paddle for Hunger event benefitting Maui Food Bank. The Paddle for Hunger event hosted 400 participants and raised a record breaking $10,123 and 1,000 pounds of food. 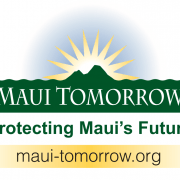 The donations amounted to 42,000 meals for needy families in Maui County. Hosted Maui’s Annual Paddle for Keiki event. 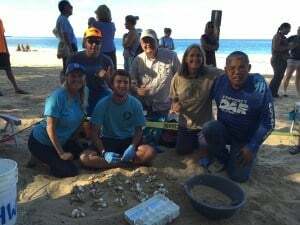 Building on Maui’s Toys for Tots event, Paddle for Keiki brought together the island’s paddling community to raise support for our local keiki (children). The event included over 150 paddlers who nearly $4,000 in gifts and donations for Maui’s youth. Celebrated 2 years as Maui’s first Certified B Corporation. 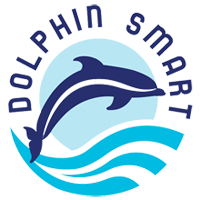 Achieved recognition as a “Dolphin SMART Proud Supporter”. Dolphin SMART is a voluntary recognition and education program run by NOAA’s Office of National Marine Sanctuaries and National Marine Fisheries Service that encourages the responsible viewing of wild dolphins. As a Proud Supporter, HPS raises public awareness for the program, promotes responsible viewing and advertising of wild dolphins, and increases public education about the importance of responsible wild dolphin viewing. 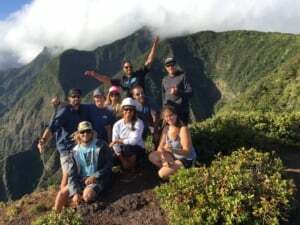 Marine Naturalists Rowdy Lindsey (Hawaiian Paddle Sports) and Curtis Geary (of sister company Maui Kayak Adventures) were recognized as Maui Ecotour Guides of the Year by Hawaii Ecotourism Association. 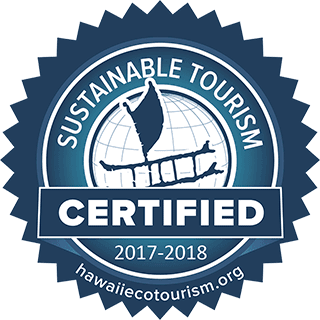 The award recognizes outstanding tour guides of Certified Sustainable Tour Operators who embody the principles of sustainable tourism. Incorporated employee trainings that focused on Hawaiian culture, humpback whales, and the ocean ecosystem. Employees received both in-class and immersion-based cultural training, and attended a dedicated training on humpback whales. 15 employees completed Hawaiian Culture Training. All Hawaiian Paddle Sports guides hold the Marine Naturalist Certification (or equivalent). All Hawaiian Paddle Sports guides hold CPR and Lifeguard certifications. Hosted 2 Ocean Safety Trainings for employees. In-water training enabled guides to respond to various on-the-job scenarios & enhanced job skills as an ocean guide. Employees participated in an annual company retreat focusing on team building, cultural training, and environmental awareness. 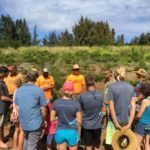 In December the team spent 4 days in Hana, Maui, collectively refining company values, exploring the historical coastline, and spending a day at a community farm to learn about sustainable farming and weed kalo garden beds. Annual retreats build the knowledge and skills of our employees, and also represent our commitment to helping our employees develop both professionally and personally.